Echo was born on the 2nd May 2005, he is by the Hannoverian El Bundy (top stallion of his year in Germany for dressage and jumping). The mare is Hann/TB and has evented and being shown for beauty at the highest level - she is a very high quality mare with superb dressage. 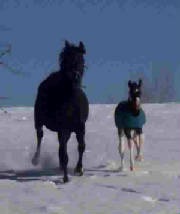 Echo will mature at around 16,1 - 16,2 and is a very smart, bold colt foal. He is already showing great power from his hindquarters with extremely good paces - dressage, jumping or eventing he is going to excel at .....he has been jumping the bottom ribbon of electric fence since he was 4 weeks old !!!! Echo is confident, bold with a lovely temperament, having been well handled and cuddled since he was born! He needs a competition home who will bring out the best - because of his superb quality we would be willing to retain a part-share in him for potential use as a stallion. Echo will be presented at the Champion of France breeding show for dressage horses in Saumur this September - after which his price will escalate enormously!! At present we will accept 20,000 euros. 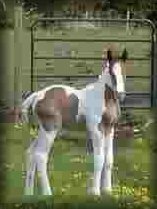 This filly has been imprinted since birth.She is handled daily.Her sire is 17+ hands. Her Dam is 16 hands.She should mature to 16+ hands.Both parents have very good conformation and super dispositions.These attributes have been inherited by this filly.She has a good mind,bone substance and conformation.This is a solid filly.UTD on vaccines.Stands well for vet and farrier.Ground work done.Finish your way. Good prospect for: hunter, jumper, dressage, eventing, driving, trail, pleasure. Asking $2,500 US. 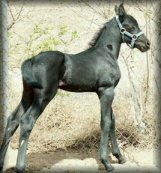 Located in New Hampshire USA Click on photo to go to website for further details..
Moriesian stallion Ivan-Reno. Located in Flagstaff, Arizona USA. Price is $5000 US. Click on Photo to go to Medallion Moriesians for more details and contact information. "Romulus" is the second approved son of Dreamtime Farm’s stallion, "Regulus", several times the #1 Stallion in the US for Dressage Sport Horse Breeding (USEF). "Regulus" is a son of "Rapport" out of "Chris Tina" by "Franat" from the Ladykiller bloodline. "Regulus" is the sire of: "Roi Soleil D", the 2002 USDF Horse of the Year. 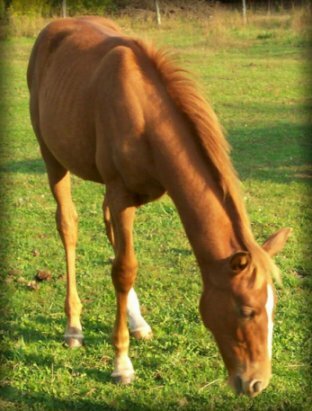 "RJoy" was very ill with strangles at the time of her inspection, yet still scored 7.2 with the comment "Good, feminine Sporthorse", with "Good shoulder, correct length and slope" by Sonja Lowenfish. This correct filly has a tremendous future ahead of her, don't miss out on the opportunity to own her now, daughter has set off in a new direction-must sell NOW! View "Romulus" on our site. Located in Montana, USA. Asking $3900 US. Email cisco@3rivers.net Click on photo to get to website. 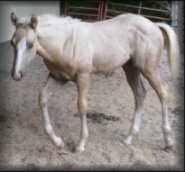 "Ballerina" is out of an AWR approved, First Premium rated AQHA mare. All the potential in the world. This mare and filly were inspected after a bout with strangles: Ballerina scored 7's with comments such as "Good Sporthorse Filly" and "Good pasterns" and "Puts legs well under herself at all gaits" by Sonja Lowenfish. With the tremendous future of Barleone, this filly is well worth the asking price, daughter has changed directions with her horses. View our site for a link to Barleone. Located in Montana, USA. Asking $5000 US. Email cisco@3rivers.net Click on photo to go to website. 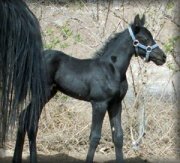 Fancy quarter horse colt from good bloodlines. 2xPeppySanBadger, Driftwood, Lena. Vet checked. Smart, healthy, strong and growing. Ready for shipping. Serious inquiries contact for more info flyingfoxfarm@hotmail.com. Reasonable offers considered. Located in South Carolina , USA. Thank you.